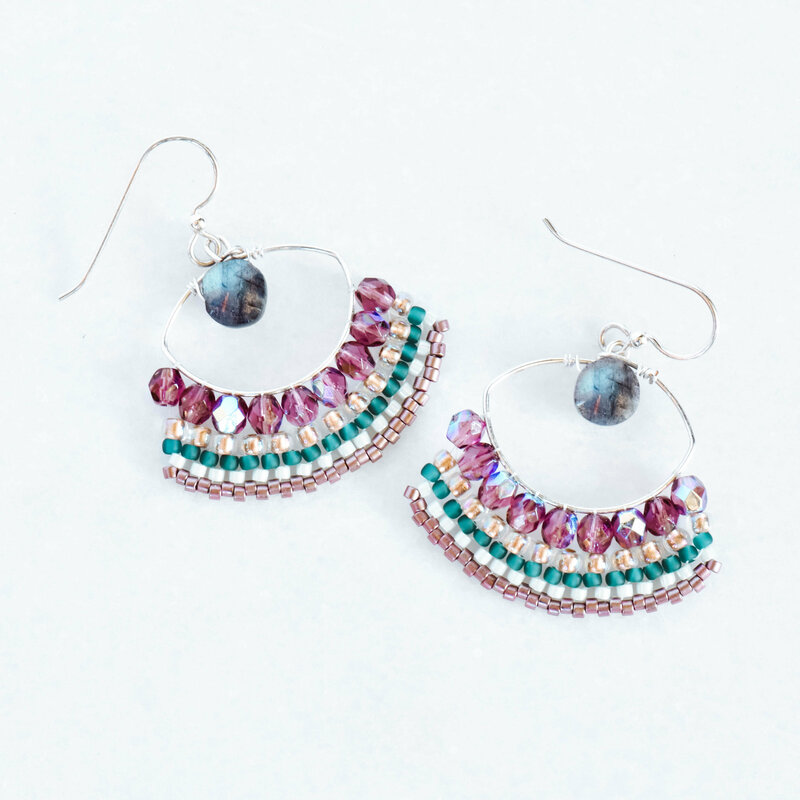 These beaded chandelier earrings hang from .925 Sterling Silver earwires and feature tones of purple, teal, and blue. Labradorite is a stone associated with new beginnings and shedding negative energies. 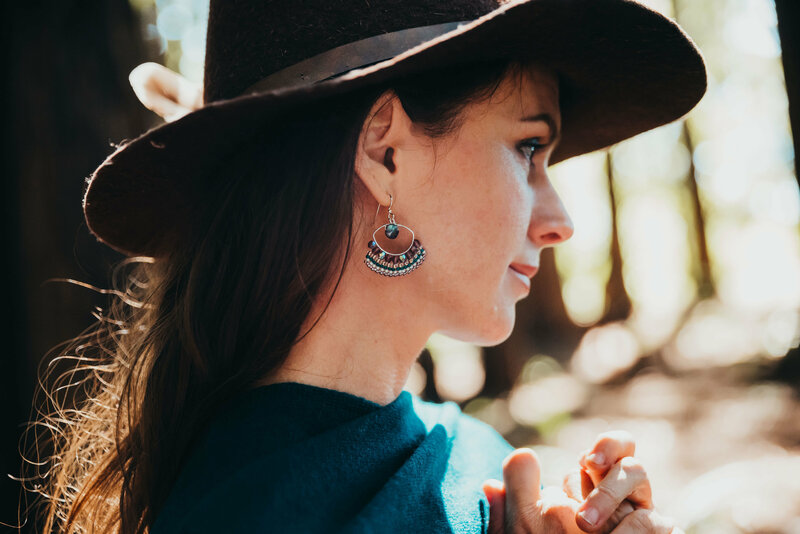 Embrace your positive side with these fun and modern boho earrings. 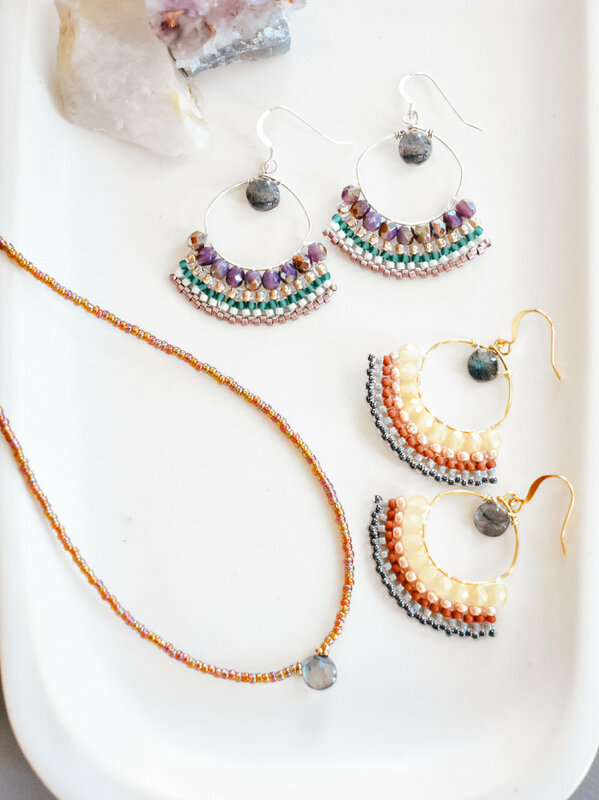 Handmade in Sonoma County!